Everyone loves a good burger. 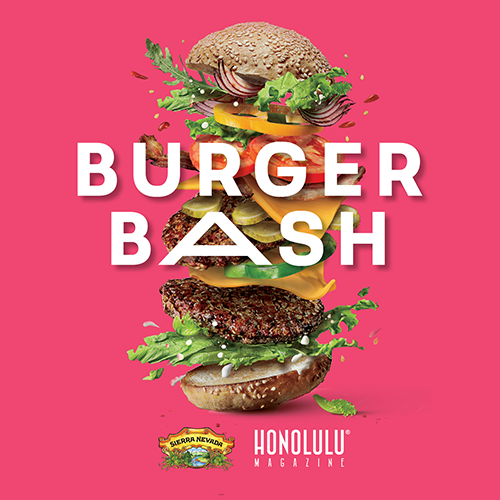 We’ve rounded up some of our favorite including Chubbies, PAI Honolulu, Square Barrels, Burgers on Bishop and more for the ultimate Burger Bash! Plus, Sierra Nevada will be there sampling a line up of their brews. Time: VIP entry at 5:00 p.m.
General Admission at 6:00 p.m.
VIP tickets are available for $80. Ticket holders will enjoy entry 1 hour early plus a VIP seating area. General Admission tickets available for $65 and are all inclusive of food and drinks. It's the ultimate Burgers and Brews Bash!